Painted after a short hike up above my house in the foothills. Many of the Junipers have a personality all their own. 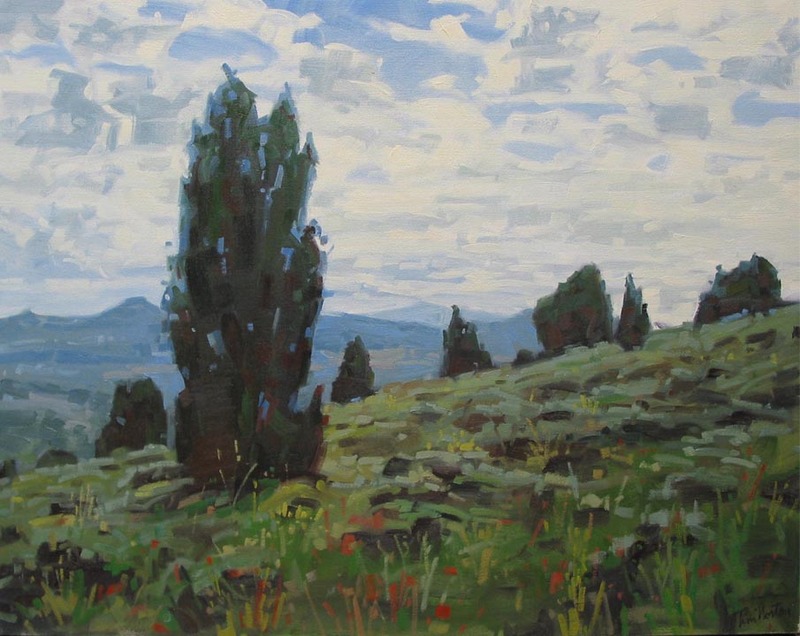 I am attracted to painting junipers because of their dark shapes and personalities. Again above my house. Painted in the spring. Lots of green and lots of flowers. This is an image of the Arco Desert. the large Snake River Aquifer lies underneath.